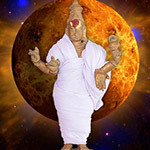 Why Sarva Aikya Maha Yantra? Do you agree that your married life can become monotonous if you lack some spice in it? After a few years of marriage, life partners often become dissatisfied in their married life; boredom and monotony sets in. Well, you are indebted to revamp things a little. And you, as a couple, have to make a concentrated attempt to keep the relationship on a buzz. So, take the initiative to bring equilibrium in martial relationship and to spice up your love life. Many of us grow up counting on a fairytale romance in which love magically happens without any effort. Sometimes we just coast along wishing and hoping for that happy ending. While it is healthy to believe in the miracles and magic of love, it is also possible to be practical and proactive in creating your own romantic destiny with the help of a Sarva Aikya Maha Yantra! Maintaining equilibrium between partners and spicing up your true love is a lot smoother and healthier if you know exactly what divine help you seek for a hitch free relationship. Once you possess the Sarva Aikya Maha Yantra, you can literally place a casting call out to the Universe for that fabulous co-star! Sarva Aikya Maha Yantra maintains equilibrium of wavelength between the partners for leading a peaceful life. It also attracts men and women towards each other. 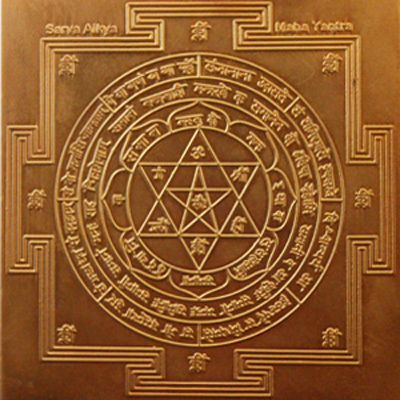 How to Use the Sarva Aikya Maha Yantra ?